By Keith Cowing on April 30, 2015 7:45 PM. "NASA, according to NASASpaceFlight.com, is quietly claiming to have successfully tested a revolutionary new means of space travel that could one day allow for such insane speed, and to have done it in a hard vacuum like that of outer space for the first time." "NASA has been experimenting with a revolutionary new propulsion system called the EmDrive and after some preliminary analysis there's some evidence that it is actually creating a warp field." Keith's note: More claims about Ellen Ochoa's warp drive gizmo at JSC that NASA refuses to talk about because they're embarrassed and/or clueless. By Keith Cowing on April 30, 2015 9:57 AM. "Just a few months ago we marked up and passed out of the House a bipartisan NASA authorization. That bill was negotiated on a bipartisan basis, voice voted out of the Committee on Science, Space and Technology, and then passed by the full House in a similar fashion. Today, my committee, the Science, Space and Technology Committee, is marking up H.R. 2039 -- a NASA reauthorization act that the Democrats on the committee did not even know existed until late last Friday. Needless to say, there was no bipartisan negotiating. After we saw the bill, we understood why. In addition to other problems in the bill, it cuts earth science funding by more than $320 million. Earth science, of course, includes climate science." "In a letter to Chairman Smith and Ranking Member Eddie Bernice Johnson (D-Texas), Planetary Society Director of Advocacy Casey Dreier praised the Committee's "scientifically ambitious, affordable plan of solar system exploration" as well as the bill's "clear directives and support for [NASA's] future exploration." The Planetary Society, led by CEO Bill Nye, is considered one of the largest and most influential public space organizations in the world." Keith's note: Planetary Society CEO Bill Nye (The Science Guy®) got to fly on Air Force One and hang out with President Obama on Earth Day. According to the Planetary Society website "Last week, our CEO Bill Nye joined The President of the United States for an Earth Day visit to The Everglades, one of the country's renowned National Parks and a vital global ecosystem. The Washington Post covered the news, and we at The Planetary Society shared in the excitement." Yet at the same time Bill Nye (The Science Guy®) was talking about the importance of Earth science and climate change with the President his organization was sending a letter of overt support to the Republican-led House Science Committee which is seeking to cut funding for the very same things that Bill Nye (The Science Guy®) and President Obama were openly supporting. No where in that letter (now trumpeted by the Committee) does the Planetary Society mention the value of NASA Earth and climate studies on this planet or express concern that this committee desires to cut that research by $320 million. These cuts are proposed against the budget submitted by the same President that Bill Nye (The Science Guy®) was hanging out with. Yet curiously in this 29 April 2015 Planetary Society post Good Planetary Support in A Flawed NASA Bill the author says "Obviously, the cuts to Earth Science make this a hard bill to support, therefore The Planetary Society cannot support the full bill as written at this early stage. We want an Authorization bill for NASA that can pass Congress and be signed by the White House, we hope that the committee markup will find ways to preserve and grow all science as this moves forward." Yet the Planetary Society makes no mention of these concerns in their letter of support for the proposed National Aeronautics and Space Administration Authorization Act for 2016 and 2017. Which is it, Bill Nye (The Science Guy®)? Do you and/or the Planetary Society support the proposed cuts to Earth and climate science or do you oppose these cuts? Earth is a "planet" too. By Keith Cowing on April 30, 2015 8:25 AM. "Today (29 April 2015) we flew the first developmental test flight of our New Shepard space vehicle. Our 110,000-lbf thrust liquid hydrogen, liquid oxygen BE-3 engine worked flawlessly, powering New Shepard through Mach 3 to its planned test altitude of 307,000 feet. Guidance, navigation and control was nominal throughout max Q and all of ascent. The in-space separation of the crew capsule from the propulsion module was perfect. Any astronauts on board would have had a very nice journey into space and a smooth return." By Marc Boucher on April 29, 2015 9:50 AM. "In the early morning hours today a Russian Progress unmanned cargo spacecraft launched from Kazakhstan with supplies for the International Space Station (ISS). The launch appeared to be picture perfect until it reached orbit. At that time there was a communication issue. Controllers in Russia were unable to confirm 'deployment of navigational antennas or the repressurization of the manifolds in the propulsion system' according to NASA commentator Rob Navias." Keith's note: We've added a video to this story which clearly shows the abnormal spinning that Progress is experiencing. Keith's update: NASA UPDATE (4/29 9:50 a.m. EDT): Docking has been called off for the Progress 59 spacecraft. Russian flight controllers are continuing to assess the vehicle and what the plan going forward will be. Additional information will be provided as it becomes available. By Keith Cowing on April 29, 2015 12:24 AM. Keith's note: Two months ago the stealthy, non-transparent Pioneering Space National Summit was held in Washington DC. A few days later an Alliance for Space Development thing was announced. Then the people not involved in these earlier events held their own competing stealthy Humans Orbiting Mars Workshop. All of these events promised that they'd eventually publish or release things to tell the rest of us what they talked about - and what they planned to do with our tax dollars. Tick tock. Nothing but crickets. So ... where is this stuff? Why does anyone pay attention to these organizations? So ... What Will Dava Newman Do at NASA? By Keith Cowing on April 28, 2015 9:45 PM. "According to NASA, the deputy administrator "provides overall leadership, planning, and policy direction." Her duties will include leading NASA governmental affairs; oversight of the agency's offices, communications, and educational programs; and serving as the NASA representative to the multinational partnership that manages the International Space Station." "4.1.2.2 The Deputy Administrator is responsible to the Administrator for providing overall leadership, planning, and policy direction for the Agency. The Deputy Administrator performs the duties and exercises the powers delegated by the Administrator, assists the Administrator in making final Agency decisions, and acts for the Administrator in his or her absence by performing all necessary functions to govern NASA operations and exercise the powers vested in the Agency by law. The Deputy Administrator articulates the Agency's vision and represents NASA to the Executive Office of the President, Congress, heads of Federal and other appropriate Government agencies, international organizations, and external organizations and communities." By Keith Cowing on April 28, 2015 4:20 PM. "Outspoken, with a palpable disdain for management bureaucracy, Mr. Worden was an enthusiastic advocate of small satellites and other innovations like single-stage-to-orbit rocket technology during a 29-year career in the U.S. Air Force. More hawkish than most dared to be on the touchy subject of space warfare, Mr. Worden in 1993 led Clementine, a low-cost robotic mission to the moon that he later characterized as a "sneaky space weapon test." Somewhat counterintuitively given his warrior reputation, Mr. Worden also was recognized as a bona fide intellectual, holder of a doctorate in astronomy and author or co-author of more than 150 scientific and technical papers including one in which he branded NASA a "self-licking ice cream cone." Keith's note: Odd that Space News overtly mentions Pete Worden's doctorate and then refer to him as "Mr." a dozen times. When I inquired Space News told me that no one is called "Dr." in their publication. Oh well. Otherwise, its a nice overview of Dr. Worden's tenure at NASA. By Keith Cowing on April 27, 2015 5:46 PM. Keith's note: Dava Newman has been confirmed by the Senate as Deputy Administrator of NASA. "I am delighted with the Senate confirmation of Dr. Dava Newman to be the Deputy Administrator of NASA. I am personally ecstatic to welcome her aboard at such a busy and exciting time as we continue to make extraordinary strides on our Journey to Mars." Continue reading Dava Newman Has Been Confirmed. By Keith Cowing on April 27, 2015 4:22 PM. "The battle lines are being drawn between Congress and the White House in regard to NASA's budget, and this year they're moving closer to home the planet Earth. In the newly released House of Representatives budget authorization mark-up for fiscal year 2016 one step before Congress actually appropriates the money lawmakers have cut funding for NASA's Earth science programs to $1.45 billion. In his budget request to Congress, shown below, the President sought $1.947 billion." "THURSDAY, April 30 11:00 a.m. Full Committee Markup of: H.R. ____, the "National Aeronautics and Space Administration Authorization Act for 2016 and 2017"
"Aspirational levels create a balanced portfolio between Exploration and Science ($4.95 billion each), and within the Science Mission Directorate ($1.45B for Earth Science, $1.5 billion for Planetary Science, and $2 billion for Astrophysics, the James Webb Space Telescope (JWST), and Heliophysics combined). The bill fully funds the Space Launch System (SLS) and Orion crew vehicle (Orion) under both the aspirational and constrained authorization levels, and accelerates the development of SLS and Orion in FY17 under the aspirational level. Similarly, the bill fully funds the Commercial Crew program under the aspirational level and increases funding under even the constrained level by $331 million." "The Obama administration has consistently cut funding for these human space exploration programs, while increasing funding for the Earth Science Division by more than 63 percent. The bill provides authorization levels consistent with NASA's budget request, providing that current restraints within the Budget Control Act are satisfied." By Marc Boucher on April 25, 2015 11:25 AM. "On the occasion of the 25th anniversary take a stroll down memory lane and learn how the Hubble Space Telescope became so instrumental to our knowledge of the universe." By Keith Cowing on April 23, 2015 10:06 AM. "This glittering tapestry of young stars exploding into life in a dramatic fireworks display has been released today to celebrate 25 incredible years of the Hubble Space Telescope. The NASA/ESA Hubble was launched into orbit by the Space Shuttle on 24 April 1990. It was the first space telescope of its kind, and has surpassed all expectations, providing a quarter of a century of discoveries, stunning images and outstanding science." Continue reading Rep. Rogers Hates Everything Russian - Except Russian Rocket Engines. By Keith Cowing on April 22, 2015 3:14 PM. Keith's note:Have you seen any of Scott Kelly's photos (in high resolution) on the official NASA Flickr page? You won't. He only posts low resolution versions on Twitter at @StationCDRKelly. He's calling his own shots on all of this PR from orbit. He makes the decision - not NASA PAO - as to what taxpayers do and do not see. Too bad - some of his pictures are rather stunning. This whole special project is being set up just for him. He's apparently only going to post one picture a week in contrast to his fellow crew members who have posted hundreds. The rules behind this contest are hilarious - all 3,009 words. Read them here. I can only imagine what it will cost the agency to actually enforce these rules or to adjudicate complaints by participants who feel that they have been incorrectly denied a prize. Is a contest like this a good idea? Of course it is. But if the public gets fewer pictures from space? That is a bad idea. Has NASA come up with the most complex way possible to do this? Of course it has. 3,009 words in the rules - and all we'll get are 50 or so pictures? Does Michoud Have Welding Issues? By Keith Cowing on April 22, 2015 11:14 AM. "A giant welding machine, built for NASA's multi-billion dollar Space Launch System (SLS), has to be taken apart and rebuilt because the contractor failed to reinforce the floor, as required, prior to construction: "Sweden's ESAB Welding & Cutting, which has its North American headquarters in Florence, South Carolina, built the the roughly 50-meter tall Vertical Assembly Center as a subcontractor to SLS contractor Boeing at NASA's Michoud Assembly Facility in New Orleans. ESAB was supposed to reinforce Michoud's floor before installing the welding tool, but did not, NASA SLS Program Manager Todd May told SpaceNews after an April 15 panel session during the 31st Space Symposium here. As a result, the enormous machine leaned ever so slightly, cocking the rails that guide massive rings used to lift parts of the 8.4-meter-diameter SLS stages The rings wound up 0.06 degrees out of alignment, which may not sound like much, "but when you're talking about something that's 217 feet [66.14 meters] tall, that adds up," May said." By Keith Cowing on April 22, 2015 11:12 AM. Heading down to DC to catch an #EarthDay flight on Air Force One tomorrow with the President. We're going to #ActOnClimate. Keith's note: Planetary Society CEO Bill Nye (The Science Guy®) is certainly having fun these days. I guess its perfectly normal to brag about getting a flight on Air Force One (I'm absolutely certain that I would too) but when you are flying on a 747 that only carries a small number of people (carbon footprint anyone?) for an Earth Day event, and then you take others to task on environmental and scientific issues, well ... this wins the NASAWatch clueless Tweet of the day award. And yes, yes, yes, the plane would have flown anyway and if Nye did not sit in one of the seats then someone else would have and the carbon footprint would have remained the same. For all we know Nye reimbursed the government for the actual full cost of his seat and has personally sequestered enough carbon in the ground or bought carbon credits to make this trip carbon neutral. But since he's all about being in the spotlight, wouldn't a more useful public thing for The Science Guy® Nye focus on something that anyone, anywhere could do to protect our environment - one that did not include selfie opportunities on Air Force One? Just wondering. That's what Earth Day used to be about. By Keith Cowing on April 21, 2015 11:42 AM. "Furnishing cover stories for covert operations, monitoring Soviet missile tests, and supplying weather data to the U.S. military have been part of the secret side of the National Aeronautics and Space Administration (NASA) since its inception in 1958, according to declassified documents posted for the first time today by the National Security Archive at The George Washington University." By Keith Cowing on April 20, 2015 1:09 PM. 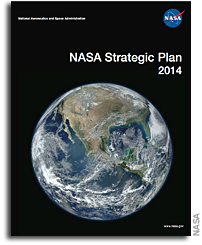 "NASA Headquarters in Washington released the latest version of its strategic plan in 2014. Strategic planning is a dynamic process that is continually taking shape within large agencies, and NASA is no exception. In response to the strategic plan, which presented a significant shift in NASA's expression of its goals and objectives, Goddard leadership recognized the need to update the center's 2004 implementation plan to show how our current work aligns with the agency's latest strategy." "Unfortunately, the last six years featured drastic change with the cancellation of Constellation and uncertain direction with the president's ever-changing asteroid initiative. Congress has been consistent in its guidance to NASA that it develop a long-term sustainable exploration strategy that is evolvable and flexible based on an uncertain budget environment." "This thing reads like an annual report - there is no "plan" in this strategic plan. The authors are utterly confused as to what a "goal", "objective", and "strategy" are and confusingly use the terms interchangeably. It is almost as if they say "it is important that we do what we are doing because we are already doing it"." Keith's note: And now GSFC has taken the time to develop a plan to implement this confusing non-strategic non-plan. I can't wait to see how they measure their progress. By Keith Cowing on April 20, 2015 10:41 AM. "Today, the launch infrastructure of the United States National Security Space (NSS) -- comprised of the Department of Defense (DoD), the Services and the Intelligence Community (IC) -- is teetering on the edge of a gap in capability which, in less than five years, could mean no capacity to launch the bulk of critical national security missions for as long as ten years. We are close to retiring our existing fleet of launch vehicles without new ones to assure our access to space." "The short-term goal should be to transition to existing American-manufactured launch vehicles, as opposed to phasing out systems such as the Delta IV, which continue to provide critical capability. In the long term, next-generation development programs should not involve major Russian subsystems and components." By Keith Cowing on April 16, 2015 11:56 AM. "Witness: Mr. Charles F. Bolden, Jr.Administrator National Aeronautics and Space Administration Date: Thursday, April 16, 2015 - 2:30pm"
By Keith Cowing on April 15, 2015 9:04 PM. "Orbital ATK Inc and engine maker GenCorp Inc on Tuesday offered competing explanations for what caused the Oct. 28 explosion of Orbital's Antares rocket, bound for the International Space Station. Ronald Grabe, Orbital's executive vice president and president of its flight systems group, told the annual Space Symposium conference that an investigation led by his company had concluded the explosion was caused by excessive wear in the bearings of the GenCorp engine. GenCorp said its own probe showed that the wear in the bearings was likely caused by debris in the engine." "Despite initial concerns, and ash that rained down in the area, a final report on the environmental impact of the explosion shows only two recommendations moving forward -- a groundwater study, and possible continued monitoring. The Virginia Commercial Space Flight Authority report also details the steps taken after the explosion to contain any adverse impacts. While Virginia Eastern Shorekeeper Jay Ford said he was concerned immediately following the explosion, he was impressed with the federal reaction." By Keith Cowing on April 15, 2015 12:57 PM. "Hours after unveiling its next-generation "Vulcan" rocket, the company that launches most of America's satellites, United Launch Alliance, ran into its first problem - the rocket's name. "Vulcan is a trademark of Vulcan Inc. and we have informed ULA of our trademark rights," Chuck Beames, president of the Paul Allen-backed Vulcan Aerospace told Reuters. "Paul Allen and Vulcan were early leaders within space exploration with the launch of SpaceShipOne more than a decade ago. We are flattered by ULA's tribute to our legacy by naming their new rocket 'Vulcan,'" Beames added." By Keith Cowing on April 14, 2015 5:19 PM. "The mission is the company's sixth cargo delivery flight to the station through NASA's Commercial Resupply Services contract." "SpaceX successfully launched a Falcon 9 rocket with the Dragon spacecraft to the International Space Station today to deliver over 1950kg of supplies. The attempt to land the Falcon 9 first stage on the drone ship in the Atlantic failed as the rocket toppled over after landing according to CEO Elon Musk." By Keith Cowing on April 14, 2015 2:22 PM. Stern: Will share LORRI images to NASA websites. Plans TBD. Won't be instantaneous but will be as fast as we can; team wants to look first. By Marc Boucher on April 14, 2015 8:23 AM. "At a news conference at the National Space Symposium in Colorado Springs, United Launch Alliance (ULA) CEO Tory Bruno unveiled their Next Generation Launch System (NGLS) with a crowdsourced new name, Vulcan. Showing some of the showmanship that Elon Musk of SpaceX has been known for, Bruno tried to follow in Musk's footsteps ratcheting up the marketing hype to a level not seen in recent years at a ULA event." Marc's Note: Competition is good. It's good for both companies, it's good for America, it's good as it should eventually drive down costs. The question is, can ULA really compete? Can they adapt from their culture to a something like a SpaceX silicon valley culture? It should be fun to watch. By Marc Boucher on April 14, 2015 8:00 AM. "United Launch Alliance (ULA) unveiled its Next Generation Launch System (NGLS) today at the 31st Space Symposium. The new rocket, Vulcan, will transform the future of space by making launch services more affordable and accessible." Continue reading ULA Next Generation Launch System Announced. By Marc Boucher on April 13, 2015 10:49 AM. "Today, a Falcon 9 rocket will launch from Space Launch Complex 40 (SLC-40), Cape Canaveral Air Force Station, Florida on the 6th SpaceX cargo resupply mission to the International Space Station (ISS). Yesterday, NASA held three news briefings to discuss the mission and research on the ISS." Marc's note: At the briefing, SpaceX's Hans Koenigsmann was asked what the probability of success for the Falcon 9 first stage landing on the drone ship. His response was 75% and then he said perhaps 80%. It seems SpaceX is quite a bit more confident on this third attempt. Marc's update: The launch was scrubbed until Tuesday at 4:10 pm EDT due to weather. The weather forecast for tomorrow is 50-50. By Keith Cowing on April 10, 2015 12:04 PM. "The NASA Advisory Council (NAC) today unanimously adopted a finding that it thinks NASA should change the Asteroid Redirect Mission (ARM) into a mission that would go all the way to Mars and thus be more closely aligned with the goal of sending humans there. NAC chairman Steve Squyres stressed that it is a finding, not a recommendation, and requires no action from NASA. NASA's existing concept for ARM responds to Obama Administration policy and NAC recommendations at odds with Administration policy have little value, he explained, since NASA must implement what it is told to do." Squyres: I have heard good suggestions. I think making the point that we think that ARM for $1.25b is not credible is a good thing to do. Squyres: NASA should also look at the possibility of sending this SEP spacecraft to Phobos. Tom Young: "this is a kinder, gentler way of terminating ARM." Should take the $1.25 billion and apply it to things to take people to Mars. By Keith Cowing on April 10, 2015 11:42 AM. "The NASA Advisory Council (NAC) reached agreement on a number of findings and recommendations at its meeting over the past two days. Its finding about the Asteroid Redirect Mission has received widespread attention, but other important topics also were discussed. One case where consensus could not be reached was a proposed finding that NASA's technology development effort in support of a human mission to Mars is underfunded. The NAC meetings are lively affairs and it can be difficult to keep track of where a finding or recommendation stands with all the crosstalk and conversations. Eventually, those that are approved are posted to the NAC website, sometimes after additional wordsmithing. The posted versions on the NAC website are the definitive authority. Until then, here are some of the key points and where they seemed to end up. The proposed finding that ran into headwinds was championed by Bill Ballhaus who chairs NAC's Technology, Innovation and Engineering Committee. The strongest objection was voiced by Dave McComas who chairs the NAC Science Committee." NAC: the current HEOMD/SMD human exploration plan is insufficiently funded. By Keith Cowing on April 10, 2015 7:30 AM. "Thursday, April 9, 2015, 9:00 a.m.-6:00 p.m., Local Time; and Friday, April 10, 2015, 9:00 a.m.-12:00 noon, Local Time." By Keith Cowing on April 7, 2015 10:00 PM. "Watzin made his case for the orbiter to the NASA Advisory Council's (NAC) planetary science subcommittee at NASA Headquarters here. Some NAC members wondered why, in Watzin's words, an orbiter is the "next logical step" in the Mars sample-return campaign anointed as the top U.S. planetary science priority in a 10-year science roadmap, or decadal survey, published by the National Research Council in 2011. The White House has been reluctant to commit to a multimission sample-return program because of the substantial investment required. However, it did allow NASA to start work in 2013 on a Mars 2020 sample-digging rover leveraging designs and hardware recycled from the Mars Science Laboratory mission, which landed the nuclear-powered Curiosity rover on the red planet in 2012. When the Mars 2020 rover arrives in 2020, it will dig up samples and leave them on the ground to be collected and returned to Earth by a future mission or missions." Keith's note: NASA loves to cite the NRC Space Studies Board and its Decadal Surveys as being the driver for how it prioritizes missions. Indeed NASA often does so as if these Decadal Surveys are holy scripture that preordain their mission choices. Congress does this too - and pays the NRC to do studies that support its whims so as to allow them to order NASA to follow these holy recommendations. So what does NASA do this time? It ignores the NRC SSB. Talk to anyone who has been planning these various humans to Mars scenarios at NASA and they all say that there needs to be a sample return mission before humans can be sent to Mars. Its like a mantra - no one knows exactly why but everyone buys into it. And of course the NRC SSB includes the need for a sample return in its holiest of holy Mars/astrobiology recommendations so as to inform and support human missions. Continue reading Going In Circles On The Road to Mars. By Keith Cowing on April 7, 2015 10:37 AM. "Blue Origin recently completed acceptance testing of its BE-3 rocket engine, the first new hydrogen engine to be developed in the United States in more than a decade. "The BE-3 has now been fired for more than 30,000 seconds over the course of 450 tests," said Jeff Bezos, Blue Origin founder. "We test, learn, refine and then test again to push our engines. The Blue Origin team did an outstanding job exploring the corners of what the BE-3 can do and soon we'll put it to the ultimate test of flight." By Keith Cowing on April 6, 2015 4:00 PM. "The public has until Friday, April 24 to help name new features on Pluto and its orbiting satellites as they are discovered by NASA's New Horizons mission." Continue reading Bolden Gets EPO Briefing From New Horizons Mission Team. By Keith Cowing on April 6, 2015 2:27 PM. "Despite a declaration from President Barack Obama that the moon is not a planned destination for American astronauts, senior NASA engineers have quietly begun reconsidering it as a staging point for an eventual mission to Mars. William Gerstenmaier, the chief of human exploration for NASA, does not see the president's plan of a direct, 900-day mission to the red planet as achievable. Instead, Gerstenmaier believes large amounts of ice at the lunar poles may provide an important reservoir of oxygen and hydrogen fuel to propel rockets and spaceships across the 40 million miles of space to Mars." "NASA spokeswoman Stephanie Schierholz told SpacePolicyOnline.com via email that Gerstenmaier was only responding to a question from Berger about the possibility of using lunar resources for Mars missions. "The Evolvable Mars Campaign, which envisions using the lunar vicinity to support a human mission to the Red Planet, is in line with and designed to advance the president's ambitious space exploration plan. We're making great progress on this journey to Mars. A key element of our plan to get to the Red Planet is employing a stepping stone approach, including living, working and learning in cis-lunar space." ... The statement sidesteps the substance of the Chronicle article that NASA engineers are reassessing the need for lunar surface missions, but are in a "delicate position" because returning to the lunar surface is not part of President Obama's plan." Keith's note: The interest in the Moon inside NASA is a lot more pervasive than they'd have you believe. There are some folks at JSC and elsewhere who have never given up on it and are keeping things warm until there is a change in Administrations. The fact that certain members of Congress and their staffers are interested in the Moon as a destination for humans is seen as bolstering this internal position. To many the clear logic of including human surface activity on the Moon in the overall utilization of cis-lunar space (and beyond) is inescapable. The only place it is not mentioned by NASA is in public. Stay tuned. "It's easy to understand why NASA is defensive about stories that bring to light their renewed interest in the moon and its resources. The President, in 2010, made it clear that he wanted to avoid the moon, perhaps partly because that was part of President George W. Bush's space policy. Nevertheless, the general consensus is that in the modern era of a constrained NASA budget, the most feasible pathway to Mars goes through the moon. So NASA deserves credit for reconsidering this approach. Even if it's not yet quite ready to talk about it." By Keith Cowing on April 6, 2015 1:33 PM. Our Wednesday, April 8, Future In-Space Operations (FISO) telecon colloquium will host Cesar Ocampo (Odyssey Space Research/NASA JSC) and Damon Landau (NASA JPL), who will speak on "A Crewed Mars Exploration Architecture Using Fly-by and Return Trajectories." Keith's note: I have sent an inquiry to Harley Thronson who was listed as a speaker in an official NASA capacity at the Planetary Society's closed door Humans Orbiting Mars event last week - and also NASA PAO - asking "Is this upcoming NASA FISO presentation related to the Planetary Society's Humans Orbiting Mars event last week - the one where you were listed as a speaker on the agenda? If so why is it being released by two NASA employees in this fashion and not by NASA HQ/NASA PAO?". Stay tuned. Keith's update: The Planetary Society and Harley Thronson have replied and said that they don't think there is a connection between this upcoming FISO presentation and what was discussed at last week's Planetary Society event. So it would seem that there is more than one team inside of NASA JPL/JSC working on this idea of not landing humans on Mars but doing orbital operations instead. Add in the ongoing internal work at NASA that seeks to put humans on the Moon to develop and infrastructure to enable further exploration (such as Mars) and it is clear that NASA is not working within the narrow parameters that the White House told them to work within. That is not necessarily a bad thing. But all of this certainly seems to be uncoordinated - and NASA is rather shy about talking about it. So this is how NASA is going to send humans to live and work on other worlds: behind closed doors, off the record, and without apparent coordination. Yea. That will work. By Keith Cowing on April 5, 2015 10:49 PM. "Bill left ARAMCO to join Wernher Von Braun's team of scientists and engineers in NASA in Huntsville, Ala. The team was then working on the design of the Saturn V rocket. While with NASA, Bill continued his education at the University of Alabama, eventually earning masters and doctoral degrees in math and engineering. Bill's career at NASA saw him involved with all Saturn V launches, the Apollo moon missions, Hubble Space Telescope and the AstroLab array of X-ray telescopes that flew aboard the Space Shuttle on three different missions. Bill also served as a member of one of three, four-man teams that managed to keep the crippled Skylab in orbit until it was allowed to fall safely to earth. At the time of his retirement from NASA, Bill was working on the design of the navigation system for the X33 Space Craft, which was to have been the replacement for the Space Shuttle." By Keith Cowing on April 3, 2015 10:58 AM. "MESSENGER mission controllers conducted a maneuver yesterday to raise the spacecraft's minimum altitude sufficiently to extend orbital operations and further delay the probe's inevitable impact onto Mercury's surface. The previous maneuver, completed on March 18, raised MESSENGER to an altitude at closest approach from 11.6 kilometers (7.2 miles) to 34.4 kilometers (21.4 miles) above the planet's surface. Because of progressive changes to the orbit over time in response to the gravitational pull of the Sun, the spacecraft's minimum altitude continued to decrease." By Keith Cowing on April 3, 2015 10:46 AM. "A belief exists in the United States about public support for NASA's human spaceight activities. Many hold that NASA and the cause of the human exploration of space enjoyed outstanding public support and condence in the 1960s during the era of Apollo and that public support waned in the post- Apollo era, only to sink to quite low depths in the decade of the 1990s. These beliefs are predicated on anecdotal evidence that should not be discounted, but empirical evidence gleaned from public opinion polling data suggests that some of these conceptions are totally incorrect and others are either incomplete or more nuanced than previously believed. This article explores the evolution of public support for space exploration since the 1960s. Using polling data from a variety of sources it presents trends over time and offers comments on the meaning of public perceptions for the evolution of space policy and the development of space exploration in the United States." By Keith Cowing on April 2, 2015 12:07 PM. "The goal of the workshop was to gather expert science, engineering, and policy professionals to build consensus on the key elements of a long-term, cost constrained, executable program to send humans to Mars ... As a result of workshop discussions, 70 attendees reached consensus on the following points: ... A full report on the "Humans Orbiting Mars" workshop will be released later in the year." Keith's note: There will be a post-meeting media briefing this morning with Bill Nye, Scott Hubbard, and John Logsdon. It is doubtful that we'll learn what the remaining 63 participants actually had to say - just what these three want you to think that the participants said. Among the participants were NASA civil servants who were invited - and participated - in an official capacity. Among those listed on the agenda are NASA Advisory Council Chair Steve Squyres and more than half a dozen NASA civil servants including Loren Worley from NASA PAO. Indeed 9/31 people listed on the agenda as speakers work for NASA. 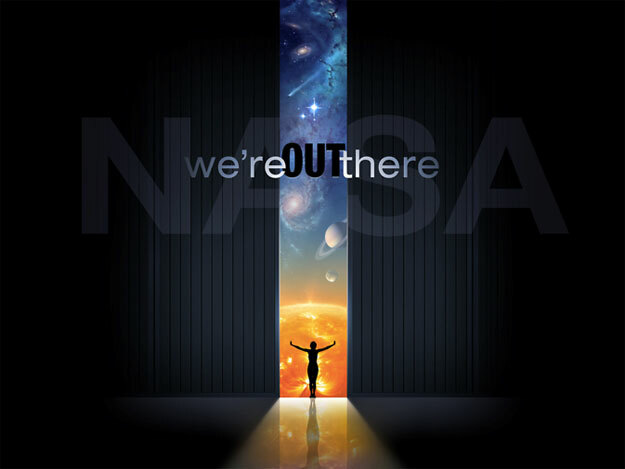 All attendees - including the NASA civil servants - agreed in advance never not talk about their participation. This is, of course, in direct contrast to established Obama Administration Open Government and transparency policies when it comes to NASA employees participating in an official capacity. Given that NASA PAO had someone there who is bound not to speak just compounds this matter. In addition, I am told that NASA HQ management saw this event as being advisory in nature which calls into question whether the FACA has been breached. Bill Nye is clueless. He thinks that the only way to plan the exploration of Mars is to do so off the record where no one will be quoted. By Keith Cowing on April 1, 2015 1:47 PM. Keith's note: NASA just issued a press release "Our Solar System and Beyond: NASA's Search for Water and Habitable Planets" for an event next week and included this graphic. By Keith Cowing on April 1, 2015 10:24 AM. "The meeting will take place on Wednesday, April 1, 2015, from 8:00 a.m. to 5:00 p.m. at the National Transportation Safety Board Conference Center, 429 L'Enfant Plaza SW., Washington, DC 20594. This will be the 61st meeting of the COMSTAC." Keith's note: The meeting is supposed to be webcast at http://faa.capitolconnection.org/ but it says that it will not start at 1 pm ET even though the meeting began at 8 am ET with a presentation by NASA Administrator Bolden. So ... half of the meeting is not being webcast. Odd. Keith's update: FAA responded that the morning is just working group meetings so it won't be webcast. Yet Charlie Bolden just spoke. Is he in a working group? This is a bit of a bait and switch since the original agenda FAA sent us late last week (and had on their website) had NASA Administrator Bolden, FAA AA Nield, and Rep. Fattah as speakers. Again, are they working group members? Further, the FAA webpage says the webcast starts at 1:00 pm ET yet their agenda shows a start at 1:30 pm ET. Also - there is no indication that the afternoon is a full committee meeting. (Needlessly) Confusing. By Keith Cowing on April 1, 2015 9:14 AM. Continue reading NASA Watch Turns 19 Today (seriously).